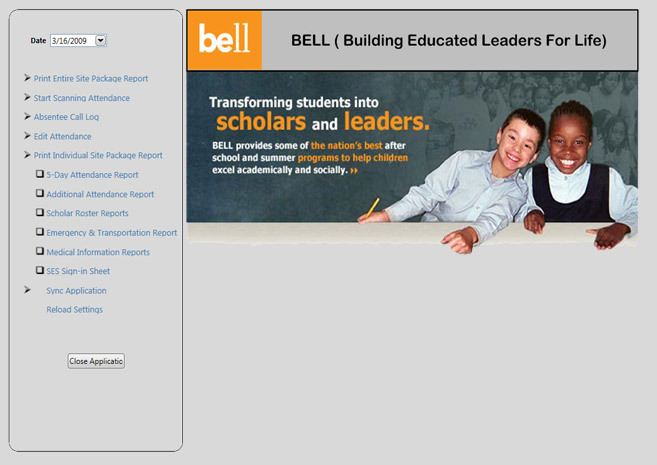 BELL pursues its mission by providing educational summer and after school programs to the children who need them most. "BELL sets high expectations for scholars and parents." BELL has three major goals for scholars to achieve: improve academic performance, improve self-concept, and develop positive social skills. I developed a portable WPF application in C# using Visual Studio 2008. 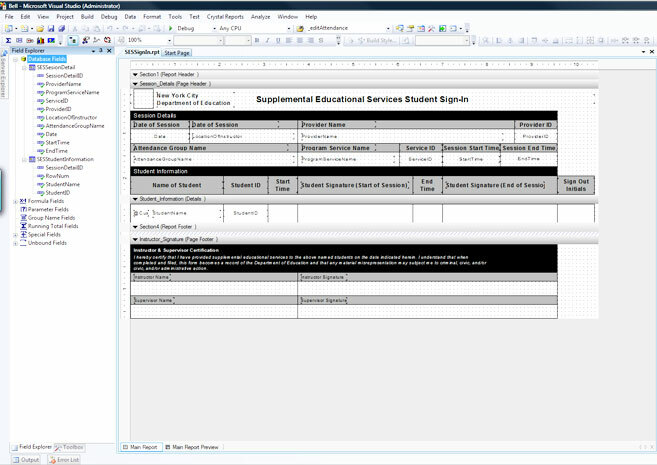 I used Crystal Reports for all reporting services. I developed a class wrapper around Crystal Reports and all reports are executed as bound, with data management being performed by the class wrapper, and business rules objects being handled by code behind classes. Design and System Integration by NPower New York.